German astronaut Alexander Gerst prepares for his mission on the International Space Station where among other duties he will test shirts featuring Coolcore. Last week, a payload including t-shirts made by Portsmouth-based Coolcore was delivered to the International Space Station where astronauts will use and test the t-shirts over the next six months. Coolcore, which has expertise in chemical-free thermoregulating fabric, partnered with Germany’s Hohenstein Institute to develop the shirts designed to optimize astronauts’ comfort during exercise and everyday wear while on the ISS. According to the company, Coolcore thermoregulation fabrics deliver three distinct functions — wicking, moisture circulation and regulated evaporation — that together keep users cool, dry and comfortable. While many other fabrics employ chemicals and additives that wash out to achieve similar performance properties, Coolcore’s fabrics accomplishes it through its patented structure that is permanent, said the company in a press release. “Space is one of the harshest environments known to man and to have our fabric selected to keep residents on the space station during their daily exercise comfortable is a testament to how well our fabrics perform,” said David Ludd, Coolcore’s vice president of global marketing. The Coolcore shirts on the ISS are part of the SPACETEX-2 project in the upcoming European Space Agency “Horizons Mission,” developed by a research team of the Hohenstein Institute, the Charité Berlin and the German Aerospace Center. 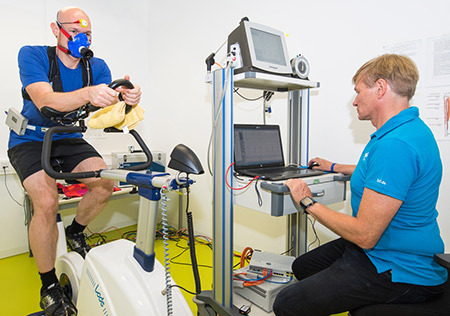 German astronaut Alexander Gerst will be conducting dedicated exercise sessions to better understand the effects of weightlessness on perspiration, sweat evaporation and the resulting crew comfort. Gerst, who spent 166 days on the ISS in 2014, will also be evaluating how Coolcore’s advanced fabric helps manage body heat build-up. The data captured during the SPACETEX-2 experiments will help improve cooling fabrics for not only better thermal comfort in space but also in extreme environments on earth. Back on earth, Coolcore’s fabric technology is used by leading brands including Cabela’s, L.L. Bean, Gillz Performance Fishing, Athleta, Klim, Dickies and more.